In 1916, H.D. Snell opened the first United Cash Store in Sayre, Oklahoma. Snell’s son purchased the grocery stores in Vernon in Wellington from him. H.D. Snell, Jr., brought the company to Lubbock in the 1950s, Wichita Falls in the 60s and Amarillo in the 1970s. You can find the United Supermarkets application link below. Albertsons Company bought United Supermarkets L.L.C. in 2013. Now, as part of the Albertsons Company, the stores are all operated under one of five names: United Supermarkets, Market Street, Amigos, United Express and Albertsons Market. Headquartered in Lubbock, Texas, the company current has 66 locations in 30 Texas cities. More than 10,000 people are working for United Supermarkets. The business serves customers in west and north Texas and eastern New Mexico. As part of the supermarket industry, the stores bring customers a fresh selection of meat, produce, seafood and bakery items. There are also deli counters in the stores and floral departments. Some stories even have pharmacies so customers can grab their prescriptions while doing their regular shopping. The company understands the importance of giving back to the communities it serves, and it has been given the “Community Service Award” from Supermarket News in 2003. The company sponsors UCrew community volunteer teams who serve local communities. The business also won Better Business Bureau’s “National Torch Award for Marketplace Ethics” for treating both employees and guests ethically. Careers at United Supermarkets range from corporate to entry-level. Corporate jobs include employment opportunities in a number of departments, including information technology, loss prevention, purchasing, marketing and supply chain. These positions will require employees to work at the headquarters, so applicants should either live in the area or be willing to relocate to the area. In-store positions can be either entry-level or managerial. While entry-level jobs may be either full- or part-time, managerial positions will require someone who can work full-time. Managerial positions, like store manager and department manager, generally require previous work experience. Entry-level job opportunities, like cashier, stocker and bagger, will not require past experience. How old do you have to be to work at United Supermarkets? To have United Supermarkets jobs, you must be at least 18 years old. Stores open at 8 a.m. every day and close at 9 p.m. Employees, however, may be asked to work the night shift to get the stores in pristine condition for the customers. The company offers those with United Supermarkets careers a variety of benefits for eligible employees, including health insurance, wellness programs and college savings plans to help associates plan for their futures. Other benefits include vacation time, personal time off, discounts on a variety of things like movie ticket and car insurance, and 401(k) retirement plan options. Checker – Checkers should be able to effectively communicate with customers. They should be willing to help customers find products in the store, quickly check out their groceries and help bag the items if necessary. Checking positions can be either full- or part-time. Typically, checkers start out making minimum wage. Sacker – Sackers should also be personable and friendly associates. These associates help keep the store clean, bag groceries and bring carts from outside into the store so customers have them available. If you fill out a United Supermarkets application for this position, you should be able to lift up to 80 pounds. Starting pay for this position is minimum wage. Food Service Clerk – Food Service Clerks not only help prepare and cook fresh foods that the store sells to its customers, they also have to make sure that all of the food in the department is the correct temperature and is within date. These associates generally make about $9 an hour. Grocery Manager – Grocery Managers should expect to work between 45 and 48 hours a week. Grocery managers need to be able to supervise other employees and distribute the department’s workload. Other responsibilities include organizing merchandise, stocking shelves and keeping the department clean. Salary ranges for this position will vary depending on experience. Why are you interested in United Supermarkets jobs? Employers are constantly trying to improve, and they can do this by seeing what draws people to work for them. Share your reason for wanting to work with the company with the interviewer. Do you have any previous retail experience? Not all jobs will require past experience in retail, but it will be helpful to landing a job. If you don’t have previous experience, don’t worry about it. If you do, make sure you discuss what you learned at your last job that will translate to this new position. What do you like to do outside of work? This question is pretty stress-free. Some interviewers like to get to know potential associates on a more personal level, and will ask questions such as this one to find out what a person’s interests are. Managerial applicants will go through a more rigorous interview process that will include questions like “What is your management style?” and “Do you have previous management experience?” These questions are designed to help the hiring manager better understand each applicant and pick the most qualified candidate. The interviewer may also be interested in how you will work with each team member in the store. If you wish to apply for jobs at United Supermarkets, you can either apply online or in-person. If you wish to apply in-person, you should know that there is no printable application for United Supermarkets. Just as there is no printable application form, there also is no place to select download application form. If you want to apply in-person, go pick up a free application at a local store. 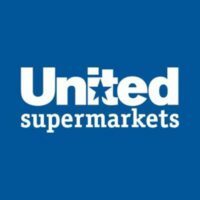 If you would rather fill out a United Supermarkets job application online, the website has a page dedicated to telling you how to apply for United Supermarkets online. If you are interested, you can browse a list of open United Supermarkets jobs online. Once you fill out an online application, you can include a copy of your resume. Regardless of how you decide to apply, you should make sure that you fill out a direct application and that you include a copy of your resume that outlines your previous experience. It will take the company a few weeks to review all the applications, but if you haven’t heard back about your application form within four weeks, you can call and inquire about the position. If you are asked to come in for an interview for one of the United Supermarkets careers, you should show up dressed in business casual attire. Review the job description and prepare yourself to answer a few common interview questions, like the ones listed above. Being prepared is the best way to get the career you want.